For the lucky students at KO, new year’s festivities came twice this year. 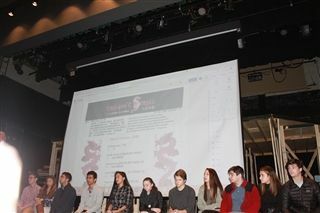 To celebrate the lunar new year -- the year of the pig -- beginning Tuesday, February 5, the students who are studying the Chinese language held an assembly to celebrate the holiday, spoke in Chinese, taught the group some Chinese phrases, and gave a background of the holiday. 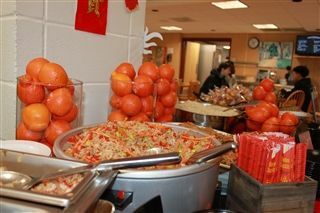 Even Sage Dining prepared a surprise sumptuous Chinese banquet of sesame noodles, shrimp fried rice, pork and vegetable stir fry, fortune cookies and lots of fresh clementines for a traditional garnish. Ma believes in the importance of threading communication, comparison and community in her project-based language classes. The students talk to one another about the Chinese culture and compare how the western and eastern holidays evince the same feelings of family and happiness. Remarkably, the KO community shares several things in common with the Chinese culture as the color red and the dragon/wyvern are significant features of the cultural identity of both groups. As the coordinator of KO ’s international students, Ma is sensitive to their longing to be with their families at this time, and that, hopefully, the Chinese New Year celebrations on campus will help brighten their day. “I understand their feelings. There is overwhelming homesickness. When they see the red lanterns throughout campus, they see that people care. By trying to learn some Chinese phrases, we are saying “We honor you. We are your family here. Your community is our community,” she said. KO staff feted the international students on Sunday night at Great Taste in New Britain. 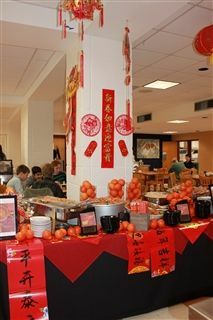 The students shared with one another how they normally celebrate the new year- some eat hot pot, others travel. Some make dumplings with their family. Head of School Tom Dillow handed each student a vibrant red envelope (hong bao) to mark a tradition where the elders give a monetary gift to the younger generation. Ma explained that in China, these gifts account for a child’s allowance for the year and serve as an incentive to do well in school or to behave well. She said that there was always friendly competition among children to see who could collect the most money. 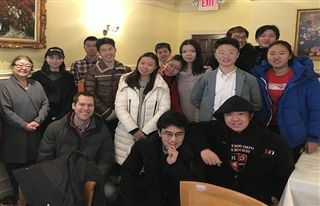 In Dillow’s case, he presented the international students the red envelopes filled with a gift card from The Green Teahouse in Blue Back Square as the international students enjoy the shop’s bubble teas. And, since the Lunar New Year celebrations are a fifteen-day affair, the events on the KO campus will not just end on Tuesday. Head of School Tom Dillow announced at the assembly that any student who wears red on Wednesday has a dress down day. 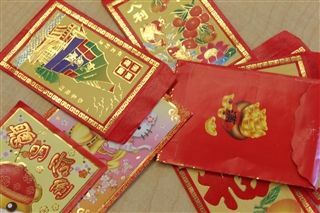 To up the ante, he said that a student who approaches him on campus and says “Happy New Year” in Chinese will receive a hong bao filled with a surprise. 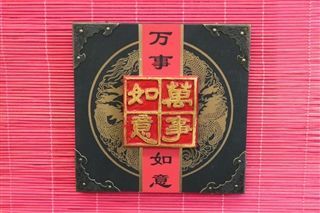 To all our Wyverns who are vying for that hong bao: Gong Xi Fa Cai (Mandarin) and Gong Hey Fat Choy (Cantonese).